With a new Brickell Avenue office, additional practice groups in West Palm Beach and other locations, Kelley Kronenberg is enjoying a growth trajectory that shows no signs of slowing. Today, the FortLauderdale firm — long known for workers’ compensation defense — has more than 100 attorneys in a network of ten offices, representing clients across more than 25 practice areas. Attorneys Bud Adams, Charles Kelley and Steven Kronenberg founded the law firm in 1980 in Coconut Grove. Soon afterwards, the office moved north to Miami Lakes with smaller offices in Fort Lauderdale and West Palm Beach. Since its inception, Kelley Kronenberg served businesses and the insurance industry, with a strong focus on defending workers’ compensation cases. Fichtel joined in 1987, followed by Wander in 1988, and Eskalyo in 1993. As the firm’s founders retired, the leadership of the firm passed to these three equity partners. “We have an effective business model that allows us to deliver tremendous back-office support to our attorneys throughout the firm,” says Fichtel. One innovative support service is Kelley Kronenberg’s in-house, full-scale marketing and business development department, led by Thomas Choberka, chief marketing and business development officer. “Unlike many firms, our team provides the attorneys with direct access to marketing and business development support, including sales training, business coaching, cross marketing techniques, and client development initiatives,” says Choberka. The team also provides public relations services including social media and website management, client seminar planning and event management. “These services provide the attorneys with the support, structure and focus that ultimately contributes to growing the firm’s business,” says Choberka. In March 2015, Kelley Kronenberg expanded its litigation services to the Miami market by opening a temporary office under the leadership of Jorge L. Cruz-Bustillo, managing partner. The firm’s permanent office opens on January 8 in the Sabadell United Bank Building on Brickell Avenue in the heart of Miami’s financial district. Cruz-Bustillo brought a team of attorneys from his previous boutique law firm, and two Fort Lauderdale partners, Tanaz Salehi and Dominick Tamarazzo, relocated, with several associates and staff, to round out the Miami litigation group. The group focuses its practice on defending first party and third party insurance claims, as well as commercial and construction litigation. Last May, the firm added a Bankruptcy Practice Group in Tampa and a Family Law Practice Group in Fort Lauderdale. In October, a Complex Commercial Litigation team, led by Irwin Gilbert, joined the firm’s West Palm Beach office. “When I was presented with the opportunity to bring our team to Kelley Kronenberg, it seemed like a natural fit to add our services to the firm’s expanding list of legal offerings,” says Gilbert. 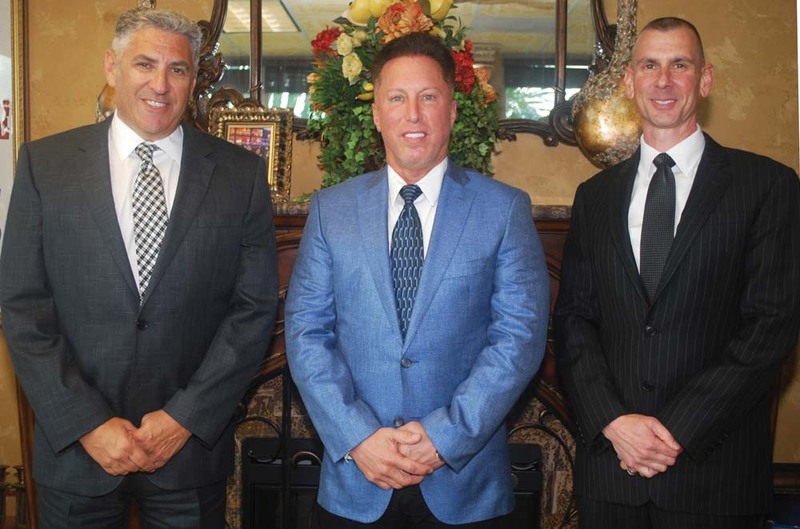 Gilbert recently led the successful defense of Palm Beach Gardens-based builder Dreamstar Custom Homes and company president Brett Handler in a lawsuit filed by a Wellington resident for alleged construction defects, breach of contract, fraud and other claims. Dreamstar and Handler filed a countersuit claiming the owner breached the contract by failing to make required payments and improperly ending the agreement. The jury found no construction defects and agreed that the owner improperly terminated the contract. In addition, the firm strives to provide additional business value to its clients, such as advising on safety issues or helping to write an executive-level job description. Both Eskalyo and Wander are certified by the State of Florida to provide continuing education courses and conduct seminars for clients on a variety of insurance defense matters.